When we contrast artificial intelligence with human intelligence, we generally point to one aspect that computers can’t really replicate: emotional intelligence. That’s a facet of our makeup that it doesn’t seem computers can actually replace, for the simple reason that reading people takes a combination of memory and intuition. We’ve interacted with countless people, and through life we learn how to read behavior and social cues, even ones that are being hidden. That’s a quintessential part of being a human. But what if computers can do that? What if Big Data can generate and analyze enough information to give AI programs the ability to actually read people? How will that impact customer care? As we’ve been saying for the last couple of weeks, this will improve, and not replace, your customer care employees. AI will be able to hone in on key insights in every interaction, instantly judging the mood of a customer, and able to pick up key phrases, intonations, and even pauses, to understand when to upsell, when to back off, and what to say. Giving instant analysis to your representatives will be the great gift of AI. It will augment human intelligence, and it will do so in a human way: be converting data into memory and intuition, to create a real personality. As some psychologists argue, memory is one of the key facets of personality. At a TED talk, one of the founders of behavioral economics, Nobel Prize-winner Daniel Kahneman, argued that, when we think of how to behave “we actually don't choose between experiences, we choose between memories of experiences,” meaning that our memory of an experience is more responsible for how we act than what actually happened. In other words, memory drives our actions, shaping the reality in which we act. We know how important this is, instinctively. When a person suffers from Alzheimer’s, we do not just talk about their memory fading in terms of the ability to conjure names and dates. We talk about the patient losing a sense of who they are. And while some joyful research shows it is still there somewhere, we’ve accepted that when memory leaves us, we leave ourselves. So that is why memory plays such a crucial role in decision-making and in reading people. There will be many customer service situations that an employee has never encountered before. No two calls are alike, and they’ll be faced with unexpected situations. But they’ve been with people before. They’ve been in similar situations. The way something happened before can influence their decisions. But how can AI do the same? From what well does it draw? This is exactly where big data comes in. Big data is, at its essence, a collected memory, a capturing of experience from all connected devices. And, unlike with human memory, the experience is not clouded by shame or pride or the usual fog of time. It is captured perfectly. Encoding and processing information. AI systems are already receiving a flood of information from each customer interaction. and that flood will continue to grow. That data needs to be understood and processed accurately. One of the most innovative ways to do so is with graph databases, which mimic the mind by making quick connections between similar pieces of information. Storing of the memory. Vast clouds worth of data need to be stored in a way that can allow the central algorithms powering customer service AIs to access them immediately. This means that the data cannot just to be dumped away—it must remain easily accessible. Memory retrieval. This is key. 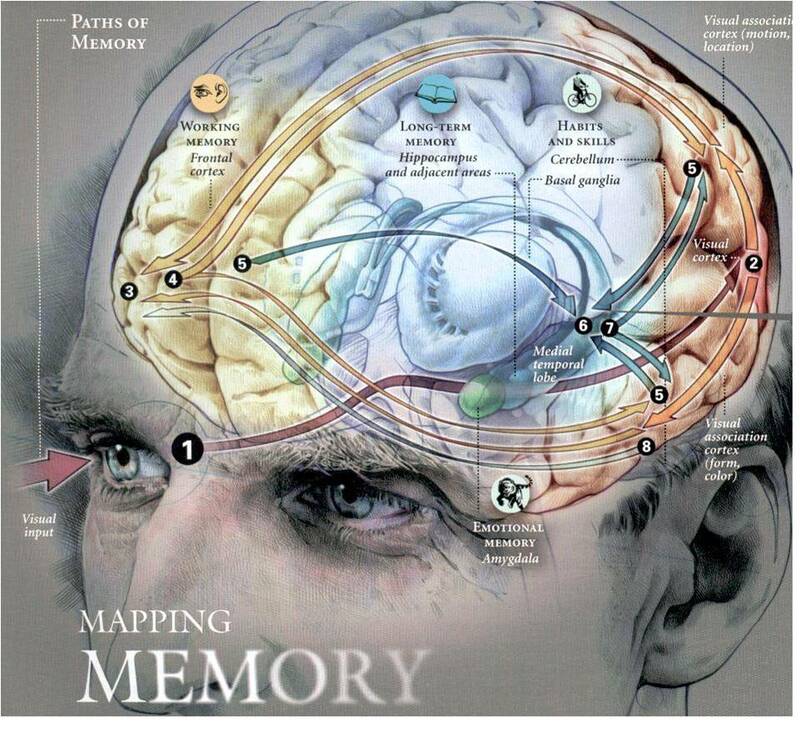 Memory retrieval is not about sitting on the porch and reminiscing. It is about the AI calling on a vast database to understand why customers are saying what they are saying and behaving the way they are. It means needing to pull in words and tones to ascertain mood. More than that, it must be able to find similar situations if there is no exact match and decide from there. All of this must happen instantly. It is real-time data. So the AI systems will be able to tell your third-party customer service partners exactly what it thinks is happening on any given customer service interaction. If a customer seems like they will be amenable to an upsell, the AI can flash on your CSR’s screen the right script. If there is the hint of frustration or anger, the AI can reach into its database to find the right path toward a solution. There will still need to be human intuition. AI databases will revolutionize customer care, but they are not infallible. Still, with their mimicry of human memory, and even human moral judgments, they can boost the performance of your customer care team in a very real way. RDI-Connect is your full-service call center and customer care partner. We combine cutting-edge technology with superior hiring and training procedures to give your organization the support it needs. Your success is ours. To learn more about how Artificial Intelligence will impact your business, please download our white paper, “Artificial Intelligence, Real Results: How AI Will Improve Your Call Center Experience”. To learn more about how we can partner with you, please connect with us today.